Plans for a new health centre in Ellon have taken a step forward following the announcement that NHS Grampian has purchased a piece of land on the site of the former Ellon Academy. The masterplan for the site, including the new NHS Health and Social Care Hub, was discussed by councillors at the Formartine Area Committee last April. 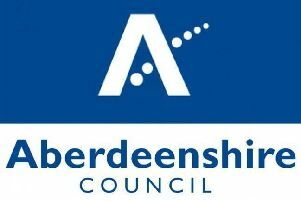 A spokesperson for NHS Grampian told the Times: “We have been in discussions with Aberdeenshire Council regarding purchase of part of the former Ellon Academy site for some time. “We are pleased to be able to bring the discussions on acquiring part of the former Academy site to a positive conclusion. “It must be understood at this stage that we have still to secure the money to develop a replacement health centre. Commenting on the development, Ellon and District councillor Gillian Owen said: “I think I probably speak for the whole of Ellon in welcoming the news that NHS Grampian have bought a piece of land on the old Academy site just adjacent to the Health Centre. This type of project takes years to plan and involves a huge number of people all playing their crucial role. Local Cllrs past and present have all been on board with this and includes my former Council colleague Rob Merson. This is stage 2 in the progression of the development plan.